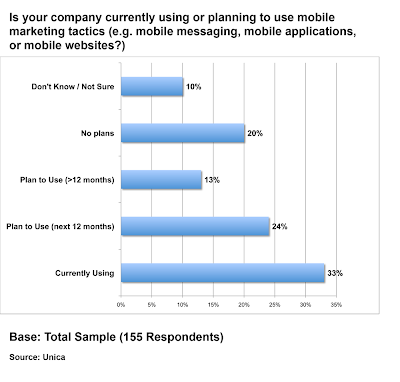 Growth5 Blog: Are You Using Mobile Marketing? You should start thinking about utilizing mobile marketing. The simple reason is because it's where people are focusing a lot of their attention. The last movie I went to, it was hard not to notice that you had a better chance of reaching the theater-goers with an ad on their phone than with the ads that cycle on the screen prior to the previews. Probably close to half of the theater (including me) were staring at their phones and not the screen. 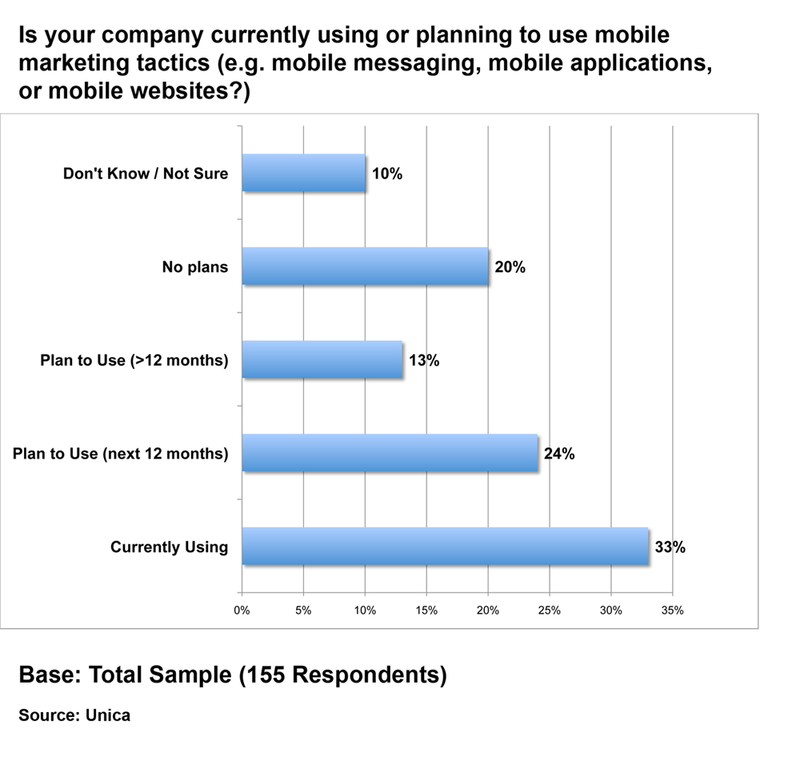 In a recent study by Unica, more than half of the businesses questioned reported that they were either already using mobile marketing or planned to in the next 12 months. Apple is rolling out the iAd system which should improve how ads are delivered on Apple products. 1. Focus more on the relationship between user and device. Current mobile users feel like they completely own the device and what they see on it. Most ads so far are spam and objectionably intrusive to the user (more so than when on their desktop or laptop and are at least somewhat expecting it). Permission-based ads are more targeted, and receive a much better response than when they are just uninvited interruptions. 3. Account for Mobile Behavior. This is an opportunity to let your brand help the user with what they are trying to do... enhance their experience. Mobile ads are already ahead of where web ads were in their commensurate evolution. As styles and options are standardized the purchase of the ads will be more efficient to implement and will be more widely used. Get creative with how to present ads to mobile users. "There are many creative ways to utilize the mobile platform such as B Codes/QR Codes, Bluetooth Interactivity, Location Based Targeting and Applications, says Renee Whittingstall, Director of Digital Media Strategy for TM Advertising. "When you combine the new technology and the engagement offered with an individual user, the mobile device is a great way for advertisers to extend the reach of their campaigns." On the marketing side, our firm is working on getting our clients comfortable with mobile marketing and its benefits – on the vc side, we are looking for mobile marketing-related investments. Give us a call if you need help with the former or have a firm that is raising capital for the latter.